A trained medical doctor who is perhaps best known as the Sinnerman on the hugely popular ITV quiz show 'The Chase', Paul has been a successful comedian for a number of years. As a club comedian, he has played every major comedy club in the UK, performed in eighteen other countries across the globe, and been three times nominated for Best Club Comedian at the Chortle Awards, winning in 2014. Paul has taken eight solo shows to the Edinburgh Fringe, his 2006 show Saint Or Sinha being nominated for whatever the Perrier award was called back then. His 2017 show Shout Out To My Ex had a sellout run and toured nationally, with 2018’s The Two Ages Of Man following suit. 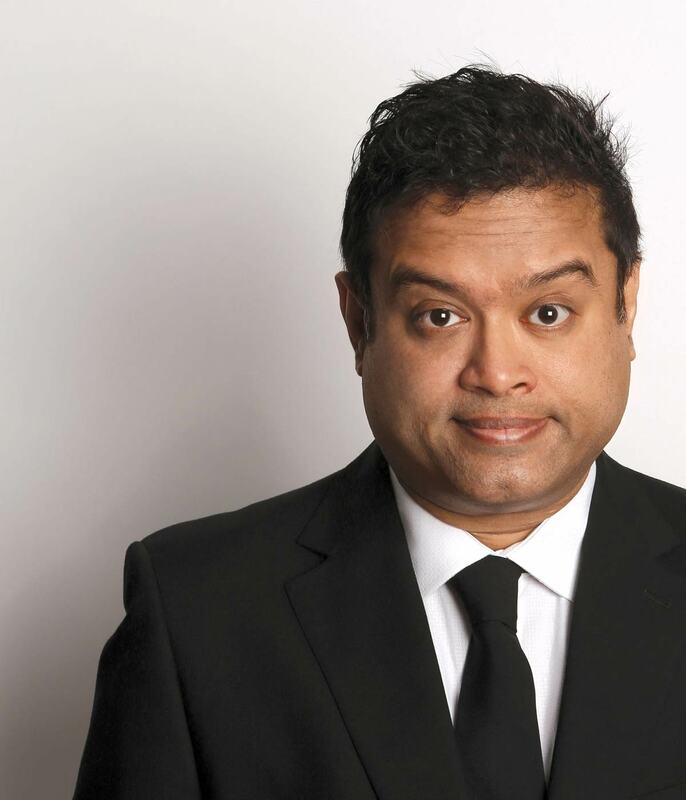 On Radio 4, Paul has appeared several times on venerable favourites Just A Minute, The Now Show, and The News Quiz; and has carved out a career in factual comedy — making programmes on cricket, the 2012 Olympics, the Magna Carta, and UK citizenship; and three series of the Rose d’Or-winning Paul Sinha’s History Revision. Alongside Marcus Berkmann, he also plays for the South of England on the long-running Round Britain Quiz. On Radio 5 Live, he is a regular (and twice series champion) on the “feisty” sports panel show Fighting Talk. At the time of writing, Paul is ranked sixth in the UK at quizzing and, in November 2017, recorded his second top-ten finish at the European Quizzing Championships. "One of those comedians who makes you realise the power of stand-up comedy and the respect it deserves as an art form." "This is what a good stand-up should be. Hilariously funny, passionate and articulate." "Well on the way to earning himself a place in the pantheon of comedy greats." Just read the amazing fact that Toby Young's Dad was a pioneering sociologist who coined the term "bellend".